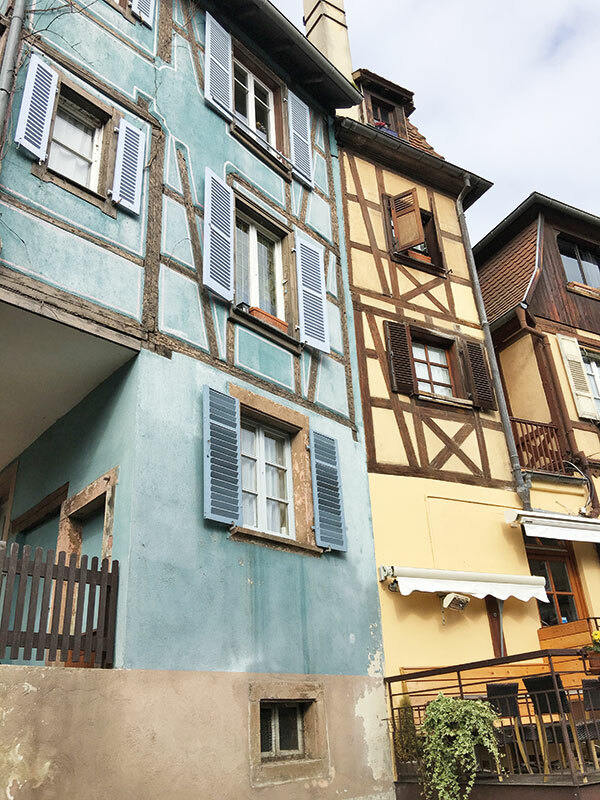 Brilliant splashes of colour on half-timbered houses is what makes Colmar breathe life into the cliche ‘picture-perfect’. 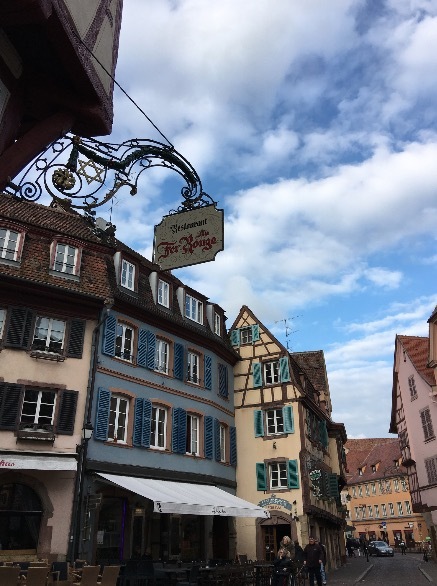 But it’s the quaint lanes, stuffed with local shops and delicacies, the warmth of the Alsatian-speaking people and the stunning calmness that pervades the town that makes it other-worldly. A medieval setting, but without the drama of gnomes, toadstools and fairy dust, something Enid Blyton would use as inspiration for a magical novel series, perhaps. 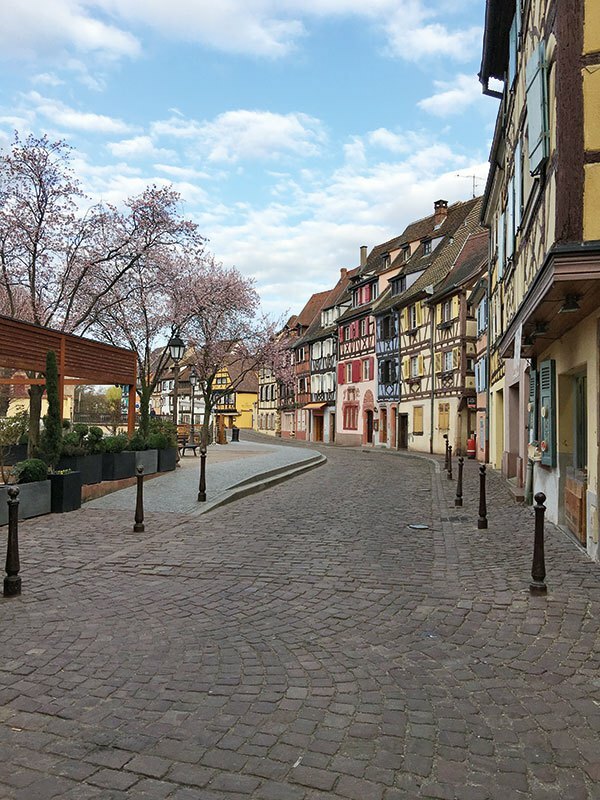 And yet, Colmar has lived in the time of practicality and realism of taxes and war and not of imaginative children’s tales. Ironically encouraging the toadstool shapes, the town tax at one moment in history was as per the surface area of the house on the ground; so the residents built homes narrower from the bottom and wider from the top. 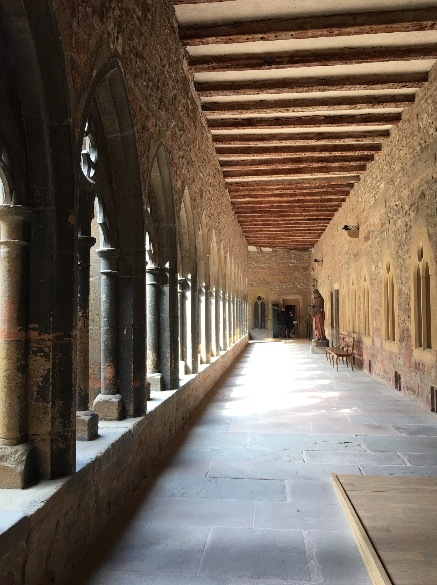 As you walk through the lanes, you are privy to some of the most eclectic structures; also, the timber inside is protected and cannot be removed or cut down. Christina Perri’s song pops into my head — Darling, don’t be afraid, I have loved you for a thousand years. 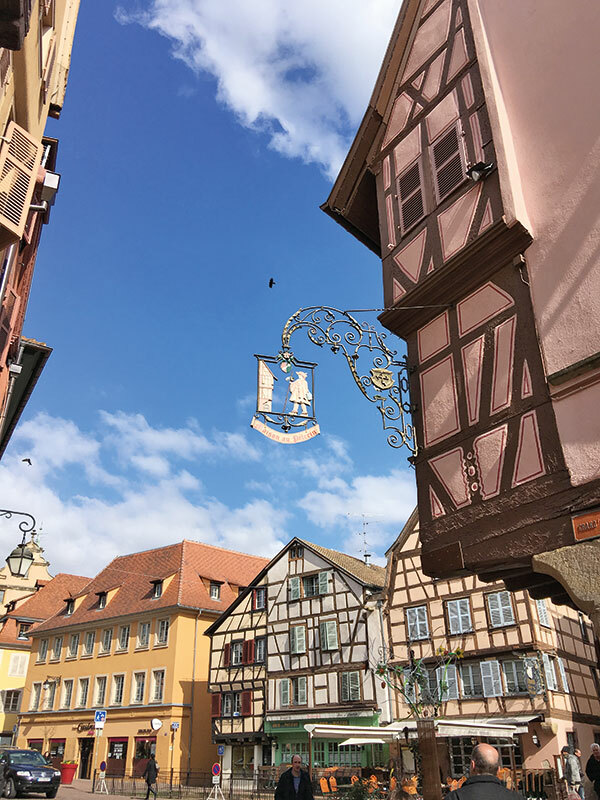 I’ll love you for a thousand more — when I face centuries of European history in the bright vision that is Colmar. Johann, our river guide, is beaming from ear-to-ear, with a sense of pride in the beauty of his hometown. As he guides us through Little Venice, down the serene ‘green area’ on the river (with a silent zone) and under tiny bridges so low that you need to bend triple, you can’t help but find his exuberance for the surrounding infectious. While he tries to nudge information out about your city, he knows nothing can match up to his. When you buy a house on the embankment (and they cost a pretty penny), you buy a part of the river, which keeps the tiny water body private. It flows through the garden district of the town, and was once used to transport produce. 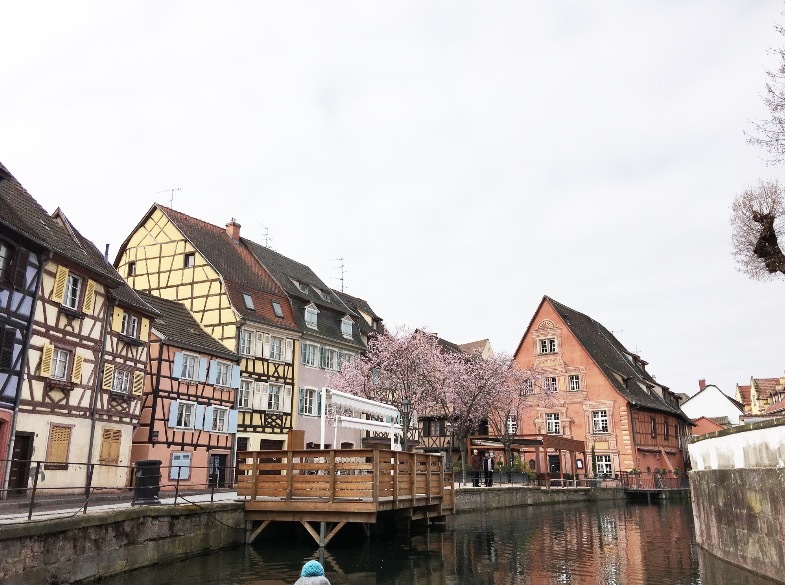 Tax seems to have been quite an evasive issue, because the boats in the town are also flat — there was a tax on the part of the boat submerged in the water, so they were designed just deep enough to bring back vegetables. 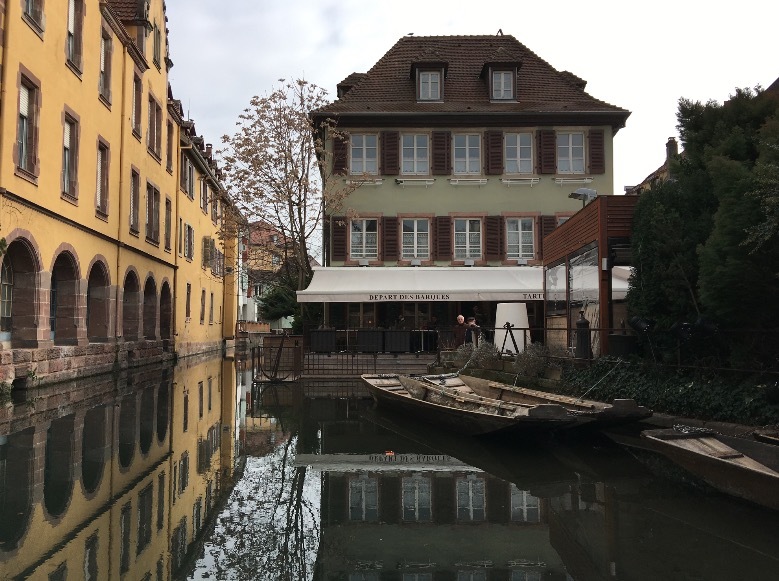 And as a protective gesture, the precinct of the old town once had a railing to prevent boats from entering the town at night, a worthy safeguard, perhaps as someone entering this lush space may fall promptly in love and set roots forever? 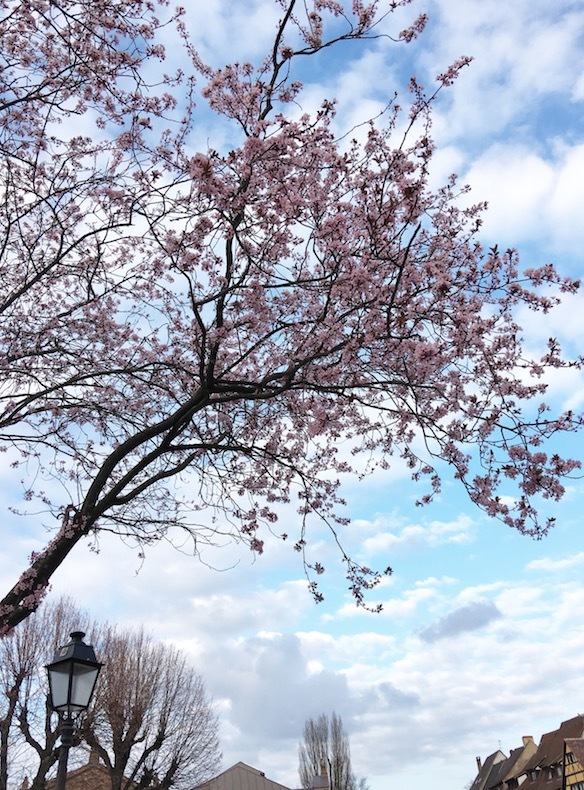 The Rhine, which is now a partition between Germany and France, once formed a link between the two countries. 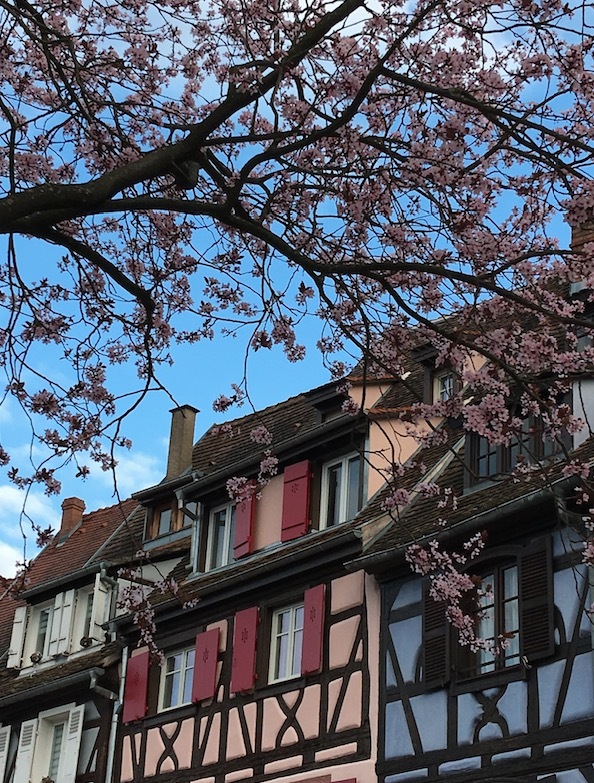 Colmar, in the heart of the upper Rhine valley, turned French in the 17th century and changed nationality five times! 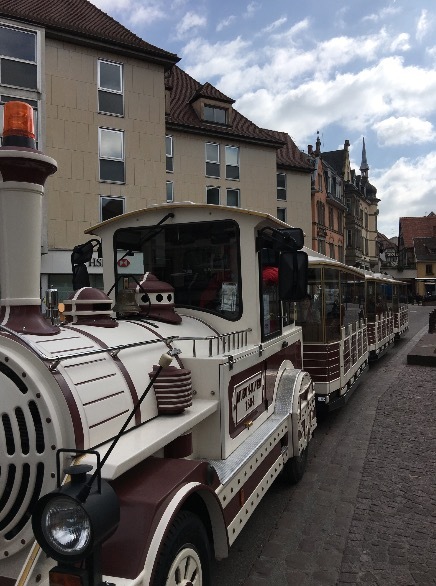 In 1939, it was the first bit to be invaded by the Nazis and was the last important town to be freed in 1945, with practically no damage to boot. 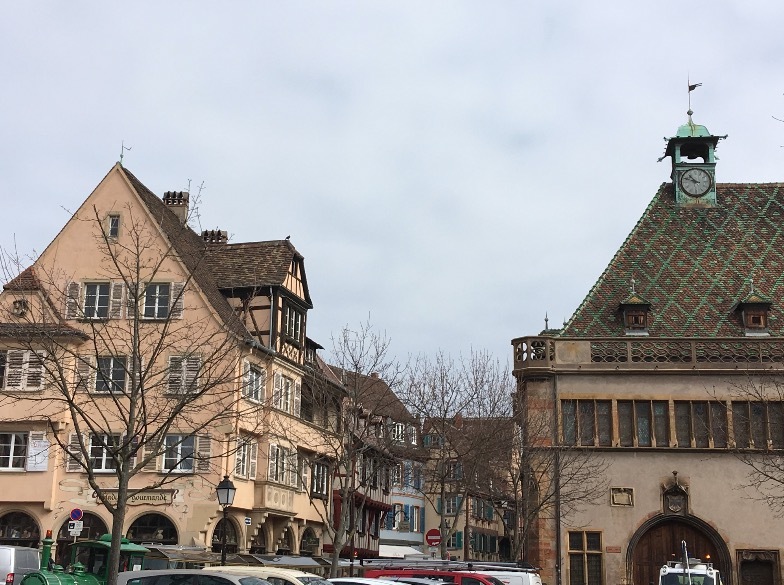 The town is a curious mix — though a happy one — of French and German culture, and the influences are evident everywhere. 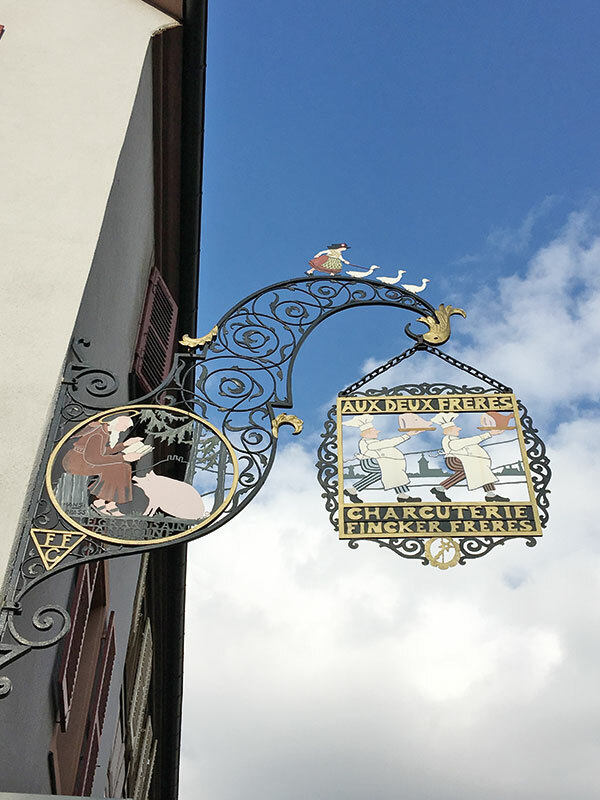 The ‘fashion street’ of the past has the motif carved in metal of the draper holding a stick to measure material. 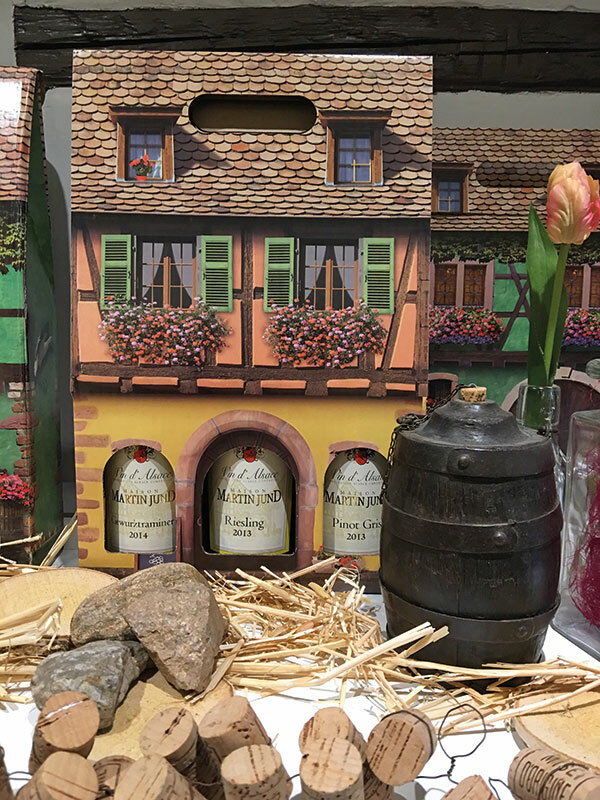 As you walk along, you can’t miss those of a lady holding a goose or a pig, with foie gras and sausage being popular products from the area. The latter can be tasted at a number of the local restaurants, including the multi-floor one, which has graphic art on the walls and is happily positioned in the city centre, called Le Fer Rouge. 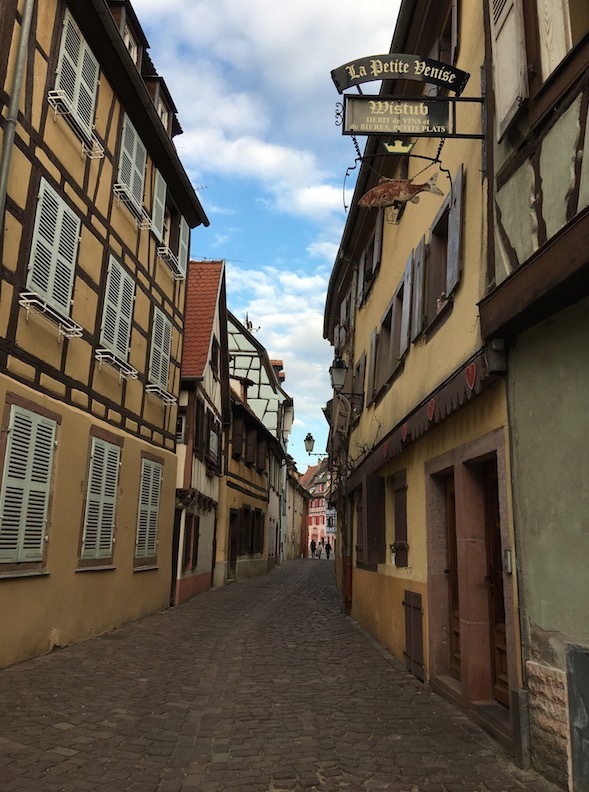 The Alsace region is the birthplace of foie gras, and the town is peppered with Michelin-starred restaurants, each rubbing shoulders with the other. That’s what the town is about — local character with a ‘country’ atmosphere. 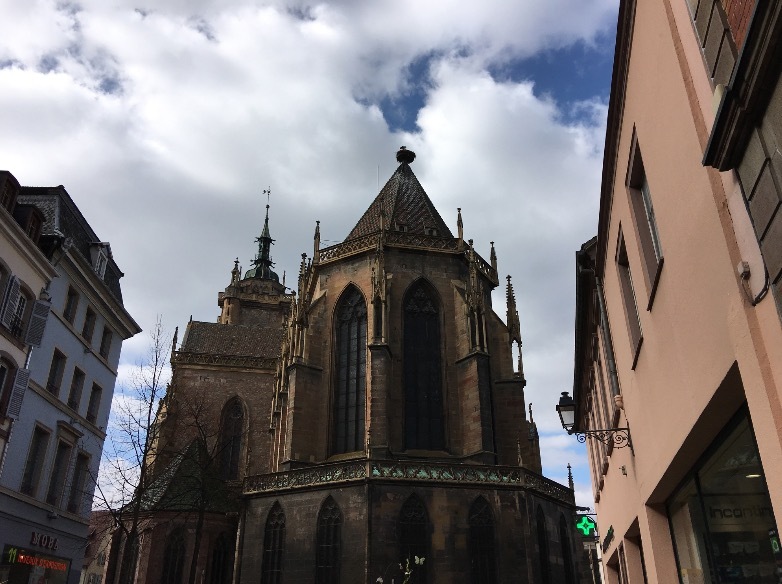 For instance, the tale associated with the watchtower in the iconic Gothic monument with a striking coloured tile roof, the Église Saint-Martin church. As legend goes, a watchman was required to stay in the tower for one year at a time and not come down. But as a lot is required to keep a man busy, besides keeping a lookout, he was also a shoe repairman…and footwear was sent up to be fixed via a pulley system! 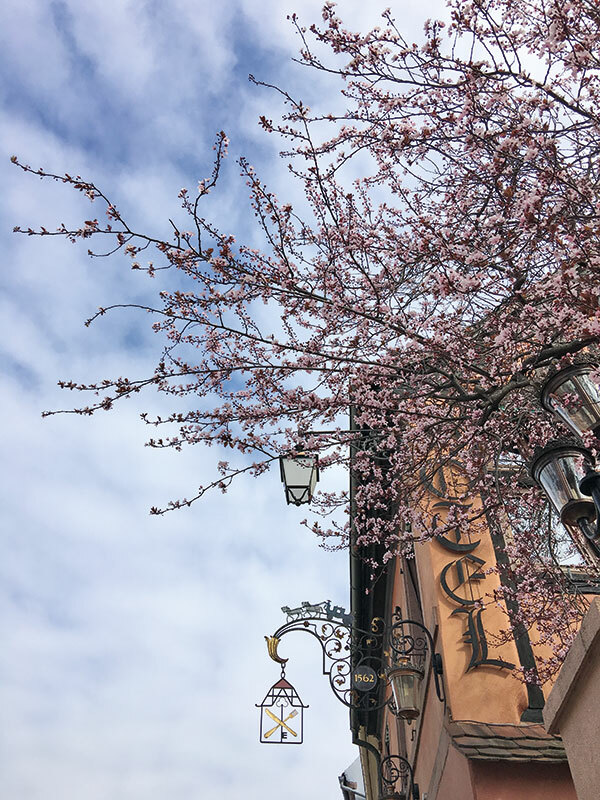 Stories and folklore abound, the town swells with the high notes of history. And as we wind down with dinner at La Maison des Têtes, we are surrounded by tables that reverberate with a sense of the familiar, and we can’t help but feel the beat of the infectious camaraderie that suggests lasting friendships. 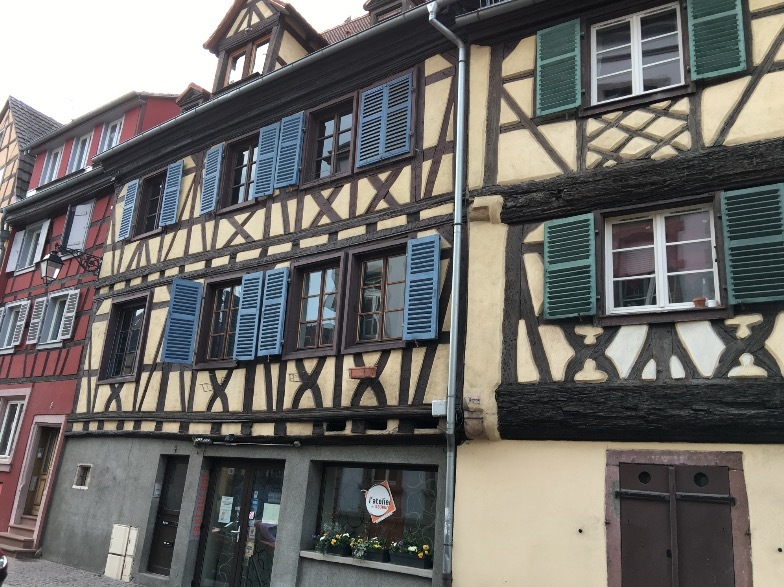 La Maison des Têtes (House of Heads), a fine example of Renaissance architecture in the centre of Colmar, is actually built from the stones of the first wall in the town in the early 13th century. 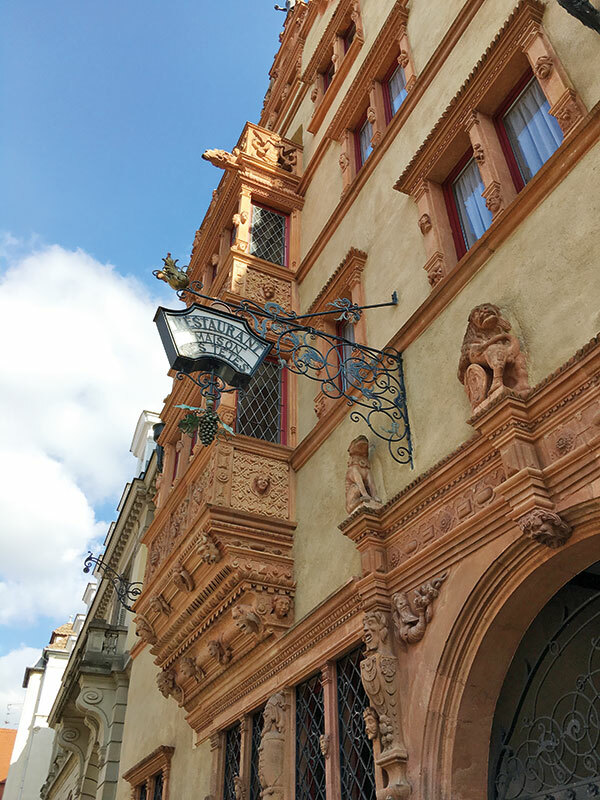 It is possibly the most famous local house, with intricate sculptural adornment — decorated as it is with 106 grimacing heads. The building that conveys ‘an idea of the wealth of the merchant class’ was restored in 2012. 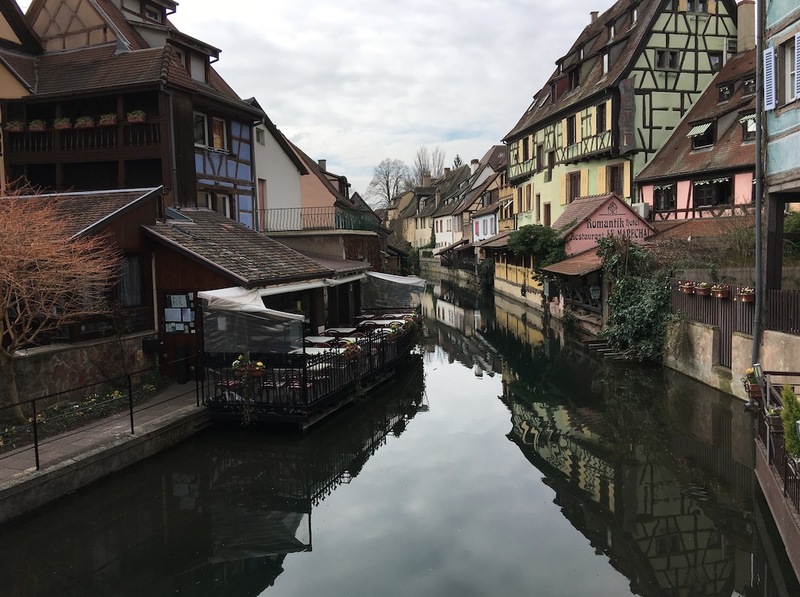 While many remains from the prehistoric town are around, you are not likely to find them in Colmar, probably because of the river that would have washed away the pieces. The facade of La Maison des Têtes was built in the early 17th century and one part was used for praying. 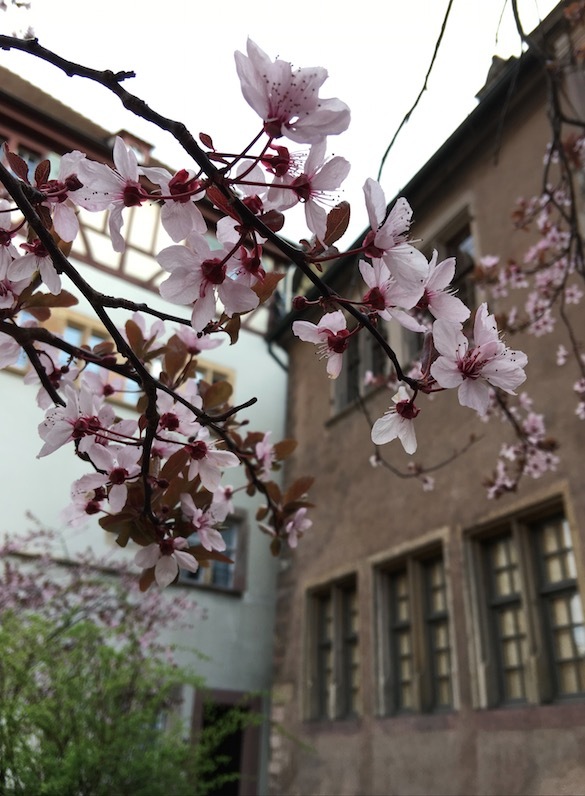 Today, it opens into a charming hotel with sumptuous-sized rooms and a fine-dining restaurant. With history surrounding you, you find yourself at peace in this abode, a perfect place for a romantic sojourn, to dwell amid the thoughts of the past and the mystery of the present, to the sounds of classical and jazz music flooding the town during festival time and the sweetness of the jam made from the fruit of the wild rose tree.